Is there a better alternative to Instant Interactive Drills? Is Instant Interactive Drills really the best app in Mathematics category? Will Instant Interactive Drills work good on macOS 10.13.4? Instant Interactive Drills is a graphically rich and fun environment allows up to 50 students to learn basic math skills in addition, subtraction, multiplication and division. Students have their own personalized settings, scores and test history. 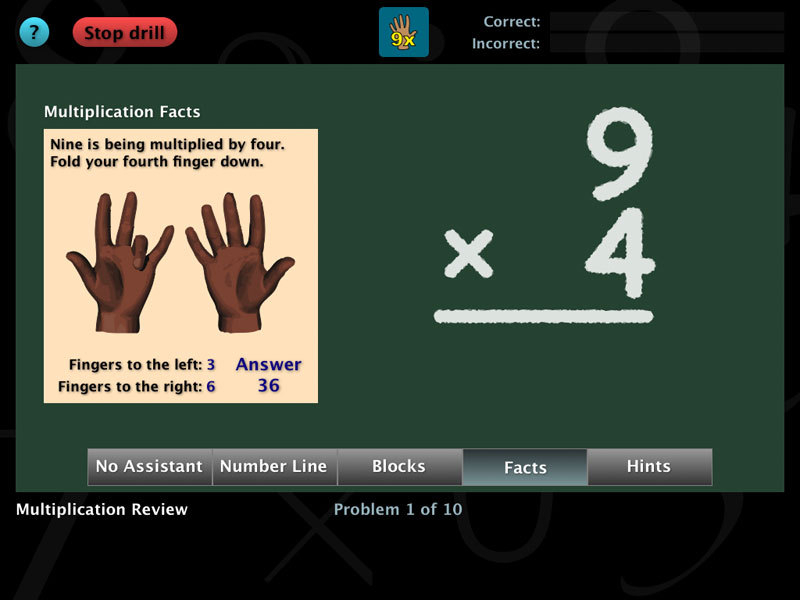 Smart Drills(tm) places emphasis on problems answered incorrectly and/or slowly. Explore solutions to problems using number lines, wooden blocks, facts and hints. Solve nine-times problems using your fingers! Visually track student progress with accuracy and speed graphs. Instant Interactive Drills needs a review. Be the first to review this app and get the discussion started! Instant Interactive Drills needs a rating. Be the first to rate this app and get the discussion started! Students can use many different methods of answering problems: keyboard, touch-screen, speech recognition, handwriting recognition and the use of assistive devices.